Present state: The station is still extant and is now a private residence, the station building has been extended at the north end. The good station is still extant 1/4 mile south of the passenger station. 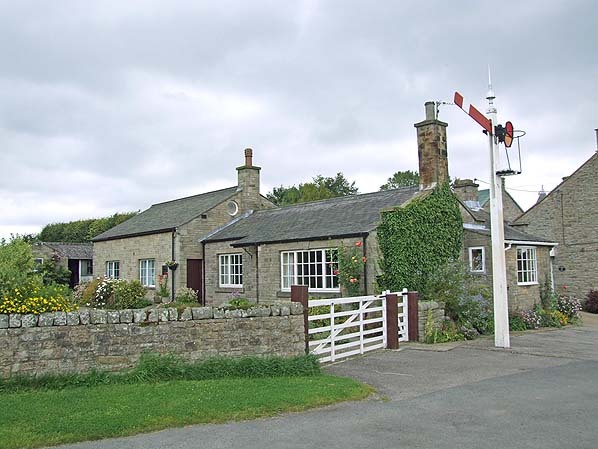 Notes: Romaldkirk Station was not ready when the line opened and first appeared in the company timetable in July 1868. The goods depot at Romaldskirk was sited 1/4 mile south of the passenger station at NY993226. The Stockton & Darlington Railway opened a line to Barnard Castle in 1856; the line was called the Darlington & Barnard Castle Railway. 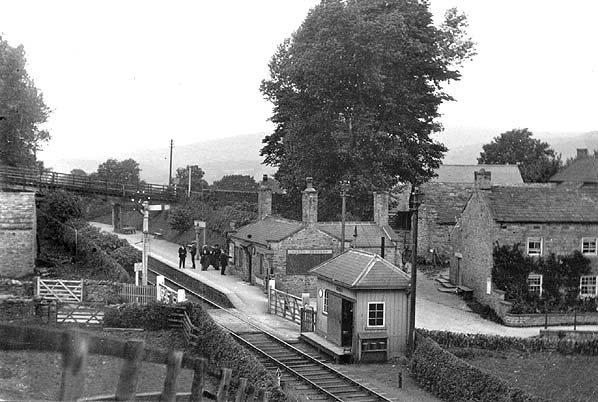 Barnard Castle received a second station in 1861 when the South Durham & Lancashire Railway built its line to Barras. The two stations were some distance apart necessitating a long walk; to alleviate this, the second station became a through station on 1 May 1862 and on the same day the original Stockton & Darlington terminus was closed. The whole line and its branches eventually became part of the Stockton & Darlington railway which was absorbed into the North Eastern Railway in 1863. There was a proposal to build a line from the Stockton & Darlington at Barnard Castle to Alston but this was never built in its entirety. Only the southern section of this line was built by the independent Tees Valley Railway who promoted a branch from Barnard Castle to Middleton-in-Teesdale. With few villages and no towns within the catchment area of the branch it was clear that it would not generate much passenger revenue so the main attraction of the line was the carriage of mineral deposits which were found in the locality. An Act of Parliament was obtained on 19 June 1865 and the 7 mile 55 chain single-track line had its public opening on 12 May 1868 with passenger services starting the following day. 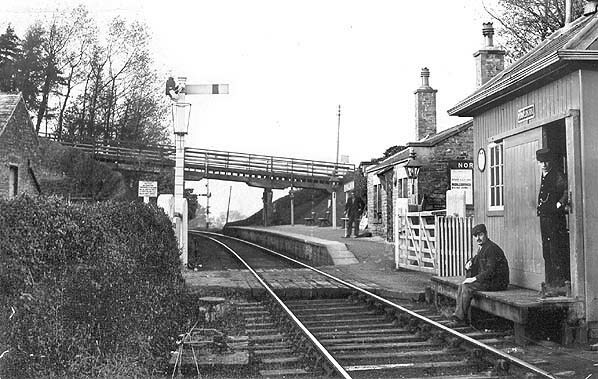 Initially there were two intermediate stations at Mickleton and Cotherstone. A third station at Romaldkirk appears to have opened later as it was not ready in time for the opening, first appearing in the company timetable in July 1868. There were two major engineering features on the line, the Lunedale and Baldersdale viaducts (both of which still stand today). From the outset the line was worked by the North Eastern Railway. The Tees Valley Railway was not financially successful and the local company was taken over by the North Eastern Railway by an Act of 19 June 1882. The NER agreed to settle the outstanding debts up to £22,000 and to purchase the line for £25,188. The line was then incorporated into the Central Division of the NER. Much of the line’s traffic was stone with interchange facilities at Middleton-in-Teesdale station. 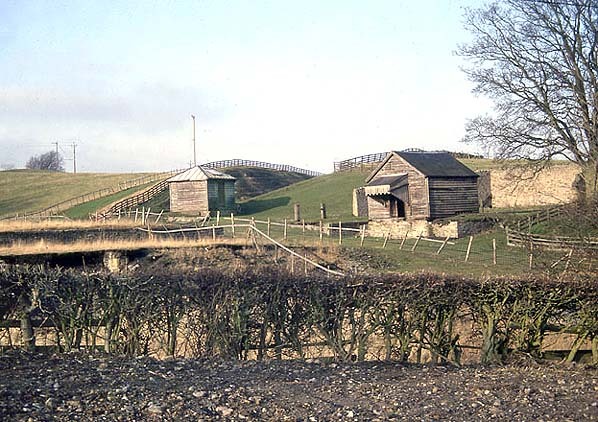 Middleton Quarry was opened shortly after the Middleton branch; it lay south-south-east of Middleton station to which it was linked by a standard gauge half-mile-long reverse. In the early twentieth century, Park End Quarry was opened 1¼ miles north-north-west of Middleton and the Middleton Quarry line was extended to serve it. This was soon abandoned in favour of Crossthwaite Quarry ¼-mile back down the line where the stone was of better quality. Middleton Quarry remained in use until c1930 and Crossthwaite Quarry closed in April 1971 although rail traffic had been replaced by road haulage in 1951; the track was lifted in 1952. In 1914 a contractor’s 4-mile narrow gauge line was opened to serve the Grassholme Reservoir south of Middleton-in-Teesdale with exchange sidings adjacent to the Tees Valley line north-north-west of Mickleton station. In 1932 Sentinel steam railcars from Shildon shed worked to Middleton on the 10.25am train from Barnard Castle, returning at 11.35am By 1937, Shildon shed had been closed and the duties were taken over by West Auckland, which used one of its six-cylinder railcars on the 8.04am Darlington to Middleton train and the 10.10am return journey, with another car on the 4.40pm Bishop Auckland to Middleton and the 6.06pm return. At one time a Tyne Dock-based car which worked the 4.06pm train from South Shields to Middleton returning on the 8.20pm from Middleton to Sunderland. Although the Middleton branch usually saw only the smaller types of engines, there were times when large engines appeared; for instance, during World War II Class V2 2-6-2s worked troop specials and they later appeared on excursions. The Middleton branch never carried heavy passenger traffic; in 1922 there were five trains a day in each direction on weekdays and one train on Sunday. By 1950 this had increased to six daily trains but no Sunday service. The engine shed at Middleton was closed in 1957 when the steam service was replaced by DMUs but they were unable to halt the decline in passenger numbers and many trains ran virtually empty. After the withdrawal of the Barnard Castle to Penrith service on 22 January 1962, through running from Sunderland and Newcastle ceased and all Middleton trains started at Darlington with seven trains daily from Darlington to Barnard Castle, five of which continued to Middleton. The ‘Mondays Only’ early morning train from Darlington to Middleton, and the ‘Saturdays Only’ late evening train from Middleton did carry passengers although their main function was to supply the weekly DMU to Middleton on the Monday and to get it back to Darlington Diesel Depot on the Saturday. The line was earmarked for closure as part of the Beeching cuts and the proposal to close was published on 6 December 1963. The formal enquiry was held at Barnard Castle on 27 February 1964 to hear 65 objections to the closure but, on 11 September 1964, the Minister of Transport, Ernest Marples, gave his consent, subject to the usual conditions regarding the provision of a modified bus service with the last passenger train running on Saturday 28 November 1964. Formal closure to passengers was on 30 November. 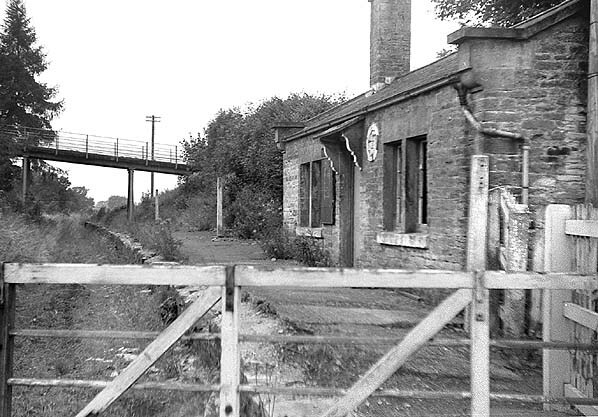 Freight traffic lasted for a few months being withdrawn from Romaldkirk and Middleton-in-Teesdale on 5 April 1965. The track had been lifted by May 1967 and today much of the course forms the Tees Valley Railway path with a car park at the former Mickleton station site. The path starts near at Lonton, half a mile south south-east of Middleton-in-Teesdale and ends near Lartington two miles north-north-west of Barnard Castle. Tickets from Michael Stewart. Route map drawn by Alan Young. Click here to see an 8 minuite film of a return journey from Darlington to Middleton-in-Teesdale in 1963. Romaldkirk goods station in 1991.This view shows the goods sheds, loading docks and the filled-in coal drops, with the line to Romaldkirk station passing through the cutting in the background.